Another hit for BTG’s Megaways from Blueprint. 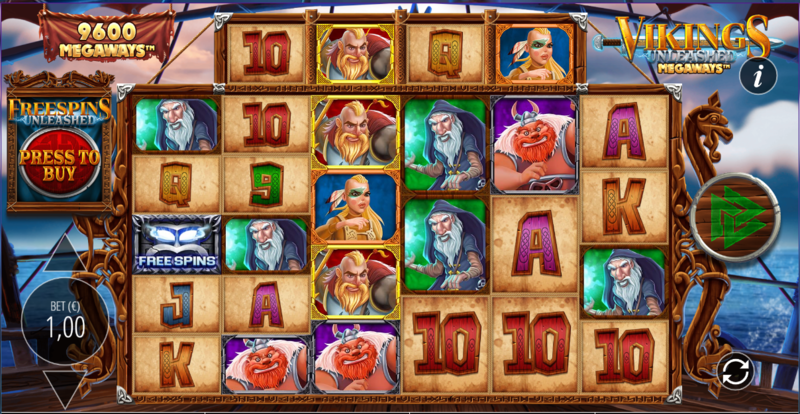 Megaways games are going from strength to strength as more providers licence the mechanic from Big Time Gaming. 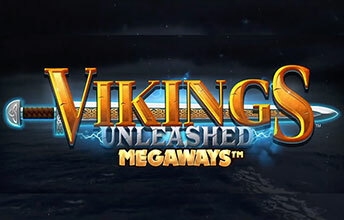 Vikings Unleashed Megaways is a worthy addition to the genre. All the Viking archetypes are here. The psycho shield-maiden (this one looks more Sioux than Swede to me but I’m not an expert on Norse mythology). This one uses cascading/avalanche reels, not something I generally like but of course it’s a Megaways slot so it’s a bit different. Scatter, scatter, scatter Yes!… No, you need 4 scatters on this one so calm yourself. There’s an annoying lag between the spin ending and the play button activating (at least there is on the 3 casinos I’ve played this at), it’s a minor niggle but it’s things like this can put you off a game over time. It’s not as bad as playing Novomatic slots and having to press spin twice after every win but it’s still unnecessary. Still, you’ll want to use Autoplay to avoid the issue. As with many of the Megaways games you can buy your way into the bonus round if you don’t have the patience to wait for the scatters. Is it a good idea? Well no it really isn’t. I’m not saying I don’t do it but that’s because I lack patience. 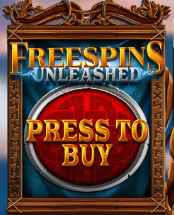 If you do choose to buy in then you get to select the number of freespins you want – at a cost of course. These can then be gambled upwards but don’t think you can game it by buying in low and gambling them up, the ‘hit’ section of the gamble wheel is adjusted according to buy-in level. If you’ve got the guts you can gamble your spins all the way up to 27 spins and 10x multiplier, it’s a buzz when you hit but it really hurts when you build them up and then lose. Thor’s Hammer symbols will change to reveal other symbols upon landing – this doesn’t always guarantee a win though as you’ll sometimes end up with symbols with not matches on the reels. This is a fabulous addition to the Megaways stable and it’s going to get a LOT of play. For me, although it’s a very innovative mechanic and it was a breath of fresh air when it launched I think it’s time the guys at BTG or their licensees came up with something a little more exciting. I’m sure they’re working on it. And our top recommended casinos.